If this cycle breaks down then nitrites, which are extremely toxic to fish and invertebrates, can form in high concentration. Many nitrite test kits suffer from interference caused by amines e.g. naturally occurring and essential amino acids. This can result in a too low measured value, especially when the nitrite concentration is relatively low. Because of its unique formulation, the Salifert Test Kit does not suffer from amine interference, and offers full color development within one minute. Also, the color is very intense making the detection of even minute traces of nitrite easy. The test kit has two different scales: an ultra-low scale for nitrite-nitrogen which ranges from 0.002 - 0.12 mg/L, and a medium scale for nitrite-nitrogen which ranges from 0.02 - 1.2 mg/L. The temperature of the water has to be above 18C or 64F otherwise the complete color will not develop within 60 seconds. If the water temperature is below the above mentioned values then allow the water in the test tube to acclimate at room temperature for 10 minutes prior to testing. KEEP OUT OF REACH OF CHILDREN. Not for consumption. If swallowed contact a physician immediately. In case of contact with skin wash with plenty of water. In case of contact with eyes, wash eyes immediately with of water and contact a physician immediately. Add with the syringe 1ml of water in the test vial. Add to 1 level spoon of the NO2 powder. Swirl the contents of the test tube gently for 20 seconds. Allow to stand for 3 minutes. Place the open test vial on top of the color chart on a part of the chart which is whiteand compare the colors looking from the top. Read the corresponding nitrite content. An intermediate color corresponds to an intermediate nitrite content. The nitrite values are in ppm nitrite. If you prefer a reading in ppm Nitrite-Nitrogen then multiply the reading by 0.3 or use the table given below. 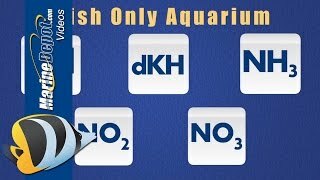 After your aquarium or garden pond has cycled you will need a much higher sensitivity. This is easily accomplished by looking through the side when comparing colors. Hole the test tube with its side against a white piece of color chart. The readings have to be divided by 10. In this way you will be able to detect 0.01 ppm as nitrite or 0.003 ppm as nitrite-nitrogen easily. Salifert is a Holland base company that produces top of the line test kits as well as tank additives and foods for marine and reef aquariums. 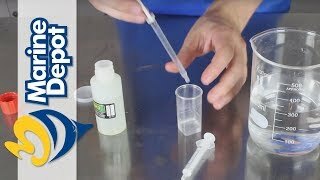 You can never go wrong with Salifert Test Kits, I have been using them for about three years now and never had a problem. Easy to use kit! Good detailed instructions. This is the best Nitrite test ever..It is Great!!!! very simple and easy to use. fast results. good product.